A Wildly Entertaining Jungle Adventure! The Jungle Bunch is the exciting tale of Maurice, a penguin who was raised in the jungle and thinks he’s a tiger! When two penguins from his Antarctic homeland come in search of “The Great Tiger Warrior” to defend their colony from an invading herd of walruses, Maurice assembles a misfit team of jungle friends to save the day! 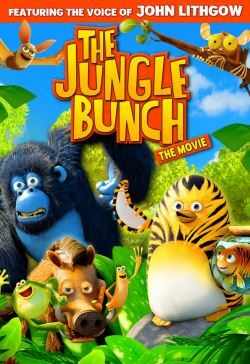 Full of laughs and memorable characters, The Jungle Bunch features award-winning actor and The New York Times best-selling children’s book author John Lithgow as the voice of Maurice.